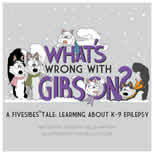 The following is a compilation of ideas, or hints, for people living with an epileptic dog. They are split into three problem areas -- Giving Medications, During the Seizure, and Safety. Nothing here is meant to be medical advice -- these are only things that other people with epileptic dogs have done to make their dog's life and their lives easier and safer. Not every idea will work for every dog, these are just suggestions you may want to try should the particular situation arise. Credit for this list is be given to the members of Epil-K9 which was started in the spring of 1996. Epil-K9 is an invaluable forum for owners to share problems, ideas, fears, successes and sorrows with people that truly understand. - Take a paper cup of water and get the dog to drink a couple laps. Open their mouth really wide and pop the pills in as far back as you can. A few more sips of water and the pills are down. This also stops the dry throat - hack the pill up later syndrome. - If you don't like putting your fingers in the dog's mouth, inexpensive pill guns can be purchased at many pet stores and vet offices. - Try lightly blowing at the dog's nose or rubbing the throat to get them to swallow. - A kiss on the forehead and telling the dog how brave they are is a must after pill-time. - If you have only one animal in the house and one with a good appetite? Use an automatic cat feeder to dispense meds with dinner when you can't be home to give them. - Make a 'meatball' which is about 3/4 inch in diameter and consists of canned dog food and the pills. - Wrap the pill in a piece of cheese. - Liquid potassium bromide (Kbr) can be given right on the food or squirted on a small piece of bread and given. Use a baby medication dropper or syringe to measure the amount. - Pill splitters and crushers are available at most pharmacies. If you must divide the dose into an odd amount, crush the pill and use a razor blade to divide the amounts into the number of doses needed. - To remember to give the medication, check out the pill containers available at your local pharmacy. A weeks worth of medication can be prepared in advance, and the question of "did I give it or didn't I" can be answered with one look at the medication dispenser. Some even have alarms to remind you a dosage is due. - Keeping medication with you at all times may be important if your dog seizures frequently. Small fanny packs or ID wallets can even be attached to the dogs collar. Extra Phenobarbital, oral valium, and even liquid Valium can be carried by the dog when away from home. - Some dogs are light or sound sensitive during seizure episodes. Try dimming the lights and keeping phones at a distance from the dog. - Keep old towels or baby diapers handy to catch urine if your dog urinates during seizures. - Some human epileptics say they have an easier time if the seizure is allowed to run its course. Calling the dog's name to bring them out of the seizure may not be the best thing for your dog. Try it each way and see which is more comfortable for your particular dog's seizure. - A fan blowing on the dog, or rubbing the feet and belly with cool water may help cool the dog down. Of course, in any case should the dog seem to be overheating due to repeated seizures or not coming out of a seizure -IMMEDIATELY bring the dog to/or contact a vet since overheating can be very dangerous. - Many dogs are confused and even blind right after a seizure. Keep the dog in a safe area where they cannot fall down stairs or hurt themselves. - Keep a careful journal of the seizures. As soon as possible write down the exact time the dog started to seizure and the time the seizure ended. A stop watch or watch with a second hand can be helpful. After the seizure is over and you have time - write down all circumstances surrounding the seizure, such as unusual food eaten, activities that happened during the previous day, medications or vaccinations recently given. A detailed journal can be helpful when bringing your dog to a new vet or neurologist. - Be prepared to transport a dog that cannot stand up and walk, or is even in the middle of a seizure. Hard plastic children's sleds can be used to carry or drag the dog to the car. A heavy blanket folded can also act as a stretcher. If you are alone with a very heavy/large seizing dog, call the vets office for instructions. Depending on where you live you may want to try calling the police for help in getting the dog into the car if no one else is available. - Seizure proofing your home is important since most of us cannot be there to watch our dogs at all times. Seizures may occur when the dog is home alone. Many people crate their dogs while they are not there. An airline type crate (Vari-Kennel or Furrari) minimizes the chances of the feet getting caught up in the wires. - While crating, or even when leaving the dog home alone, make sure the dog is not wearing a collar (especially with tags) that could get caught while the dog is thrashing. Choking can result. - Some people make a special room for the epileptic dog, clearing out any objects/furniture that may injure the dog during a seizure. Crating or making a 'doggy room' may be the best idea should you have a 'catapulting dog', that is one that throws itself across the room during seizures. - Never leave an epileptic dog alone near any water deep enough to drown in. If you need to, investigate getting a doggy lifevest for your dog. - If you are concerned about your dog seizing while swimming, doggie life vests are available. - Protection or separation may need to be considered in multiple dog households. A seizing dog can trigger the 'pack' instinct in which an injured animal on the ground is attacked. Monitor your dogs until you know their reactions to the seizing dog. - Baby gates can be invaluable to block off stairways or confine the dog to a certain room. - Be careful of leaving windows open should you have a dog that spends time near one. Screen windows can easily fall out of the framing as well as your dog. - Prop a large piece of styrofoam insulation against a sliding glass door if you are afraid of your dog hitting against it. - Buy a new or used baby alert monitor to 'hear' your dog if he sleeps in a different part of the home. Just put the receiver part in your bedroom -this may help you sleep better if you are constantly trying to 'listen' to hear if the dog is all right. - If you really want to know what happens when you are not home, buy a voice activated tape recorder. It only records when significantly loud noise is heard. This will not only let you know if your dog has seized, but if he has been barking all day. Some also videotape their dog during the time they are gone. They then fast forward thru the tape to see if anything unusual has happened during the day. - Keep phone numbers to your vet and all emergency vet hospitals near all phones. 2:00 a.m. in the morning is not he time to decide if your dog is in status and then figure out what to do. Drive by the emergency vet so you know exactly where it is. When traveling, get emergency numbers in advance or immediately find the hospital nearest you when you arrive. Keep the number handy at all times. - An ID tag on a lost epileptic dog is very important. It's scary enough to think of a lost dog, but a lost dog without medications is even worse. Medical alert tags are available at most pharmacies, pet supply catalogs or from your vet. It can even be engraved and worn with your dog's regular tags. - Train all your dogs for basic obedience. You may need it someday if you are walking multiple dogs and your epileptic seizures. The situation would be much easier if the other dogs will obey a sit or down stay. Status is something that probably all of us with epileptic dogs are afraid we will, at sometime, have to deal with. This brings to mind Edith. Edith is not another dog that seizures but stands for Exit Drill In The Home. Any fireman will tell you that everyone needs to know ways out of the house in case of a fire plus know of alternate routes in case the exit that you would normally use is blocked. Not bad advice either for preparing for the time your dog might need emergency veterinary treatment. So we need to practice a STATUS DRILL or STATUS CHECK LIST before a real status situation occurs. Be prepared. Be calm. During an emergency situation is not the time to go to the text books to see if your dog's seizure(s) is an emergency situation. Any seizure (status or clusters) lasting for more than 30 minutes with essentially no recovery period between them is definitely an emergency situation. But because most seizures last less than 5 minutes, any seizure lasting over 5 minutes should be considered serious. Do you have your veterinarian's home phone number handy and can you call your veterinarian at 2 or 3 in the morning? have phone number of emergency clinic handy?. These phone numbers should also be in your wallet (for when traveling out of town), in your car with the car cell phone and on the wall by the phone. During a seizure is not the time to go thru the telephone book looking for numbers. Plan on how you are going to transport your seizuring dog to the veterinary office emergency clinic. This is not the time to figure out how to get a 100 lb seizuring dog up the stairs (or down the stairs) and into the car. You could use a stretcher, a make-shift stretcher from blankets and broom sticks, a plastic sheet that you could drag or carry, a wheel barrow and a snow sled are a few suggestions. Think how you are going to keep your dog safe in the car while seizuring. Know the location of the emergency clinic and length of time to get there. For example if it takes 30 minutes to get there and your dog has been seizuring for say 15 minutes before you decide to go to the emergency clinic, then it takes you say 15 minutes to get dressed and your dog in the car -- your approaching an hour before you can get help for your dog! If you going to the emergency clinic, call and tell them you are on your way. Also call them from your car phone just before you arrive. Most clinics keep their doors locked at night and you have to be buzzed in. If notified that you are coming, the staff can be even more prepared for your dog. When going to the emergency clinic make sure that you have a list of medications that your dog is on, when the last medication was given and if possible your dog's seizure history with you. If you going to a large emergency clinic and your dog has been there before, your dog might have a patient number. Having this number with you might expedite the registration process. When traveling out of town, after you and your dog are settled into the room, checks yellow pages for veterinarians in the area. Ask your veterinarian what emergency treatment to give at home - like liquid valium (given rectally), valium tablets, valium suppositories, extra PB. Even if your veterinarian says you don't need to worry about status or an emergency situation insist that they discuss it with you NOW. Later might be too late. is going on with your pup. Sometimes, it will help you find a pattern to the seizures, or even a specific trigger that you can then avoid. A good logbook is not overly cumbersome to read, or to keep. The important thing is to make your log something that you will use, immediately after a seizure or some other unusual event. If you make it too complicated, you will tend to say, "I'll do it later," and then it never gets done. It can be in the form of a handwritten journal, notes on a calendar that you keep only for the log, or any other form that is convenient for you. The date, time, severity and length of each seizure. What medications were given, if any, or what alternative interventions were done during or immediately following the seizure. What pre-ictal behavoir was noted, if any; or what your pup was doing just prior to the start of the seizure. 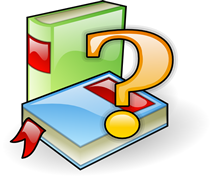 Details of the post-ictal period; recovery, behaviors, etc. The log should also note the date of any medication changes: increases, additions, decreases, or deletions, as well as the dog's reaction to these changes. Weather (storms,solar activity, even barometric pressure) are helpful to note. Any one of these may be a trigger, especially if you can see that a seizure followed the same event more than one time. One note of caution: do not try to look for patterns after each and every seizure; you will need to look back over a period of time to see any of that. If you try to look for something each time, you will get discouraged. A specific trigger might be more obvious. When you make a trip to the vet, copy the log and take it with you, allowing the vet to keep the copy. Most vets are very appreciative of this, and it helps to streamline your appointment, since human memory errors are eliminated, and time saved at the appointment. The focus can be what is best for your pup, not the taking of history information. If you are going on a trip and taking the pup with you, take the log as well; if you have to see a vet or an ER in another town, it will help tremendously. You also have it in case of a seizure while you are away from home. Traveling with your dog that has seizures should be quite simple as long as you do a little planning before you leave. Here are some hints that could help you. Before leaving home (going around the corner or going on a trip) make sure that you have your dog's meds with you. If you don't, it could be next to impossible to obtain them when out of town. If possible, travel with your dog(s) in a crate. A crate is their 'seat belt'. There are several types of crates. For travel the wire and plastic are the best. If you must travel without your dog in a crate, look into using a specially designed doggie seat belt. could their collar/tags get caught? is the crate large enough for your dog to lay on it's side or stretch out a bit? is the door of the crate in a position for you to easily access your dog? are there extra mats/towels for the crate in case they need to be changed? could you easily observe your dog while in the crate or in the back seat? if your dog had a seizure while in the front seat, would it endanger your driving? could your dog fall on the floor during a seizure? could your dog get stuck between the seats and doors or in back of the front seat during a seizure? if traveling with other dogs, is your dog safe during a seizure from the other dog(s)? If any of the answers to the above questions are YES, look into solving them before you leave. A small mirror that attaches to the car's sun visor which allows you to watch the kids in the back seat also helps you observe the dogs in the back without turning your head. If you don't have one of these mirrors you might be able to simply flip the rear view mirror to night driving to see the dogs. If your dog has a seizure while your are driving, you should safely pull over to the side of the road as soon as possible. If you give your dog medication after a seizure (Rescue Remedy, PB, liquid valium, valium tablets, etc.) you should keep them in a special place that can be easily reachable by you. It is a good idea to keep your vet's phone number (clinic and home) with you in the car and have a cellular phone. Also carry a description of all your dog's meds with you. Ideally, you should have full identification and instructions for caring for your dog in plain view in case something should happen to you (ie: in an accident). This can be placed on your dog's crate and should clearly identify which dog needs which medications, family member to contact and what to do if you can't make a decision for your dog(s), etc. While on your travels, don't forget to take with you and update your dog's seizure log book. Your dog should wear an ID tag that says your dog has seizures, needs medication and your phone number along with your vets. To be on the safe side (as mentioned above) do not leave collar/tags on your dog while in a crate. When traveling with your dog 'loose' in the car, it is a good idea to put towels (blanket) over the car seats and to put plastic under them in case your dog has an accident (loose bladder control). In case your dog does have an accident (loose bladder control) you might want to keep a bottle of waterless shampoo and extra towels in case you need to clean-up your dog after a seizure. When staying in a motel, it is a good idea to bring extra sheets to cover the bedspread. It is a good idea to put a plastic sheet under this sheet in case your dog would have an accident while on the bed. Your dog will feel less stressed if you can keep their schedule away from home as close to normal as possible. Obviously, medications have to stay on schedule, but also try to maintain their routine for feeding, walking, playing, etc. If your dog's stomach is sensitive to a change in water or food, bring your own water from home. If you can't take enough water for the whole trip, use bottled water or blend in the new water gradually. Likewise for food, if you can't take enough of your dog's food for the whole trip, be sure your dog's brand of food will be available where ever you travel. As far as flying with your dog, you need to be very aware that it is not unusual for plane flights to be delayed or misrouted and that your dog needs their medication on a timely schedule. Enough said. The following URL's will help you find hotels that take pets and vets in other states. www.petswelcome.com An invaluable guide if you travel with your dog. Searchable data base of pet friendly hotels, emergency vets by State, travel tips and much more information, a wonderful resource!!!!! http://takeyourpet.com lodging directories give you instant on-line access to all the information you need to make your travel plans - property name, address, phone number, 800 number and web page (where available). http://www.healthypet.com/MailTool/index.html Healthy Pet Hospital Locator. http://www.vcai.com/Pet_Care/StatesLSB.asp Veterinary Centers of America.